A breast cancer diagnosis comes in many different forms. Sometimes, its months after you discover a lump that you assume is “nothing serious.” Other times, it comes as a complete shock when you get the results from a routine mammogram. In either case, the message that “you have breast cancer” will definitely stop you in your tracks. October is Breast Cancer Awareness Month and the following list can help you – or someone you love – get back on track as soon as the initial shock wears off. Never hesitate to enlist the help of a friend, loved one or co-worker if you feel that the “shock fog” isn’t clearing fast enough for you and it’s time to start taking action. Try not to panic. This may seem impossible, but in most cases breast cancers are not considered super aggressive, which means your cancer team has a little time to do more testing and set you up for the most optimal treatment plan. It can take weeks for certain test results to come back, and that can be agonizing for you and your loved ones. Even so, there is nothing you can do but cultivate patience, think positive and begin setting up your support network for when your treatment begins. Shine the spotlight on yourself. If there’s one thread that seems to unite all women, it’s the thread of “doing,” and – typically – that translates to “doing for others.” It is time for you to switch gears and shine the spotlight on yourself. Many oncologists and health professionals will advise women to treat cancer like their full-time job, and that everything (and everyone) else needs to take a backburner. Making yourself the priority is key to your body’s ability to heal. This means reaching out to your support team and asking for help when you need it. Start researching. Your oncologist will be a wealth of information, but it’s difficult to input everything he or she says while you’re in the office. The internet is an amazing resource and one of your new “full time job” descriptions will be to read and learn everything you can about the type of breast cancer you have (yes! There are different types…). Also, look for local resources available to those with cancer and their families. Beyond The Shock, by the National Breast Cancer Foundation, Inc., is a great place to start. Choose your Cancer Team. Your cancer team is going to become a part of your family, or at least – that’s how it should feel. If you don’t resonate with the first oncologist you’re referred to, shop around and interview others. You should never feel afraid to ask questions or to voice your concerns, and you should always ask for a second opinion if you feel it’s necessary. An experienced medical oncologist will also be able to refer you to other resources, ranging from therapists and support groups to sources of financial support.Your insurance company is a part of your cancer team also, so read your policy carefully and/or call their customer service representatives so you know exactly what is and isn’t covered, and how billing/payment for your cancer care and treatments will be handled. Consider your fertility options. If you are still in childbearing years and are interested in having more children, schedule an appointment with a fertility specialist. Hormone therapies and chemotherapy can affect your future fertility options. Fertility preservation or egg freezing may be a solution for you before you begin treatment in order to increase your chances of getting pregnant in your cancer-free future. 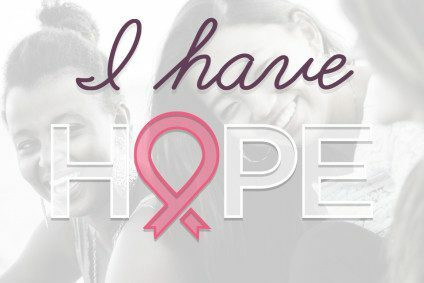 Have you or someone close to you experienced a breast cancer diagnosis and treatment? What advice would you have for our Overlake followers? We welcome your comments below.